A 28-inch LED light bar is getting up in the lengths where you can inflict some serious damage to the darkest gloom. They will typically put out up to ten times the luminosity of even high-end light pods. Plus, the extra length means more flexibility for manufacturers to optimize spot and flood optics along the length for the best field of view and the deepest reach into the terrain ahead on the trail or road. We’ve chosen three high-quality, high-performing 28-inch light bars that we think should suit your luminosity appetite and still leave something left in your budget for accessory lights. The 180W Eyourlife 28-inch light bar uses 60 3W CREE LEDs in a dual-row configuration with spotlight optics across the center and two flood beam end sections. Its astounding 18,000 night-to-day raw lumens highlight details hundreds of yards ahead on pitch black nights. 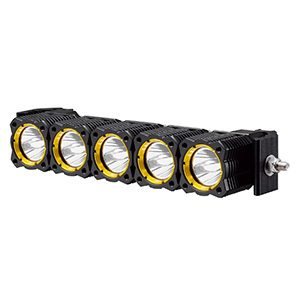 Coupled with a rugged aluminum housing, bottomless heat sink fins, a polycarbonate lens and an IP68 rating against moisture and dust, you have a light bar ready to take on the toughest conditions. As with most Eyourlife light bars, they place most LEDs on spotlight duty, so you get maximum lighting depth. The Eyourlife 28-incher also has an exceptionally shallow housing depth of just 2.5 inches that makes this a superb light for grille mounting. Buyers rave about this light bar’s brightness and durability, although a couple have received lemons. The wiring harness is ordered separately. 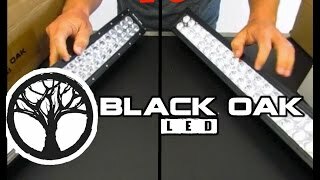 It is not easy to find a light bar in this length that is as bright as this one for under $80, but here it is. It is still short enough for easy mounting on bumpers, grills, tailgates, UTVs, ATVs and commercial equipment, plus it will turn heads when you flip it on. 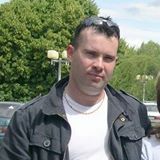 This one is a keeper for both price and quality. 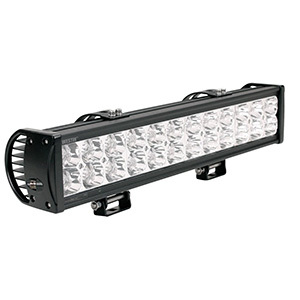 Northpole 28-inch light bar provides 13200 raw lumens of powerful, bright white light for any driving or equipment operating purpose. It provides both penetrating beam depth plus plenty of side illumination thanks to a combination of computer-designed spot and flood optics. Mounting options are flexible and extra secure with three sliding channel mounts provided. It also comes with a complete wiring harness that includes a 40A relay, cable, fuse and switch. Though this Northpole model generally receives fewer buyer reviews than other models, they are over 90 percent 5-star ratings. 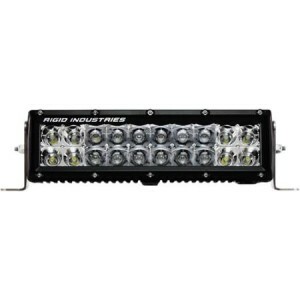 It is bright enough to be a primary trail or driving light and is a favorite for ambulances and tow trucks for scene illumination. No one is complaining about fogging, but be sure to inspect the lens seal integrity to be on the safe side. Any LED light bar buyer seeking a beam with both long reach and a wide swath of illumination will be pleased with this Northpole 28-incher. 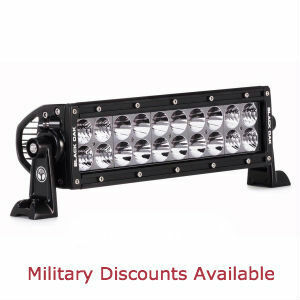 Solidex’s entry in the 28-inch light bar category sports 60 high-intensity 3W CREE LEDs that produce night-shattering illumination with combination optics that produce a strong center spot and sideward flood lighting. CREE LEDs rated for 30,000 hours are housed in a diecast aluminum housing with built-in heat sinks. This light bar comes with a full wiring harness and installation kit. In terms of specs, the Solidex 28-inch light bar looks very similar to the Penton reviewed above. Could they be twins separated at birth? In any case, buyers are impressed with this bar’s brightness and solid construction. Despite its IP68 intrusion rating, this light bar receives more reviews complaining about water intrusion than it should. Just be sure to re-seal the lens when the light comes to your door. 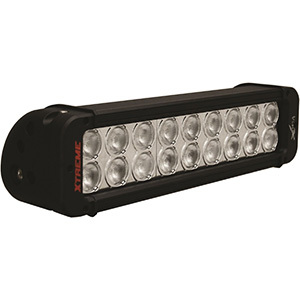 The Solidex 28-inch LED light bar will provide more than enough illumination as a primary trail or work light and is superb for scene illumination. It competes well with other 28-inch bars in its price range plus has a higher IP rating and extra screws on the end panels. From 12,000 to 18,000 raw lumens of clear bright light, these three 28-inch LED light bars are perfect for busting open the darkest nights whether on the trail, back roads or work sites. Public service vehicles find this length ideal, especially when mounted on both the front and back of their vehicles. Whatever use you put yours to, expect to amaze yourself and friends with their brightness, clarity and solid build.